SVART Powerhouse Hotel project by Snøhetta architects. 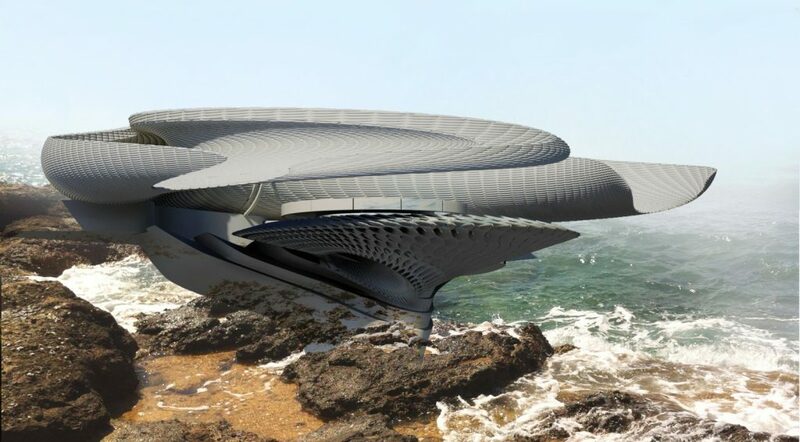 Take, for instance, the futuristic solar–powered moving bridge, sand turbine hotel and hydroelectric architecture of architect Margot Krasojevic or the WindNest — a unique, renewable energy installation that sees urban pod sculptures generate clean electricity with a mix of wind and solar technologies. Power generation and leisure will merge when action holiday company Arctic Adventures completes its SVART Powerhouse Hotel in 2021. 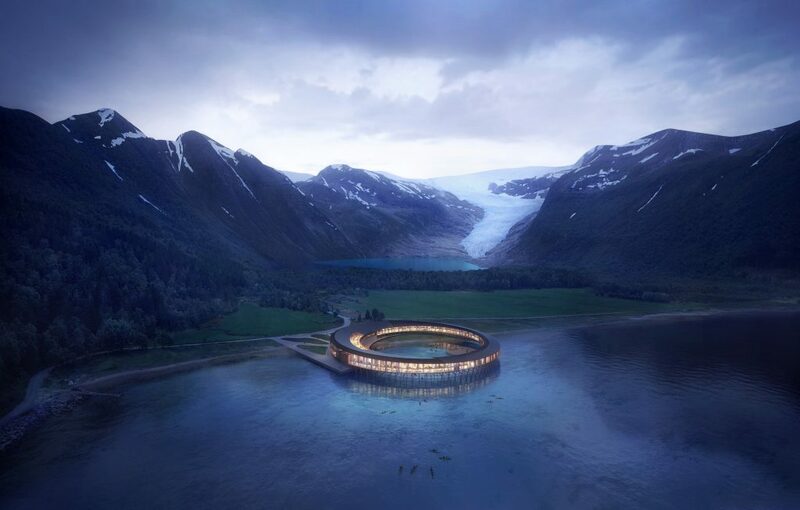 Designed by Snøhetta architects, the Norwegian solar panel–clad structure will sit in the Holandsfjorden fjord at the foot of the Svartisen glacier. Its shape is inspired by local vernacular architecture, in the form of the “fiskehjell”, the shaped wooden structure for drying fish. Meanwhile, the Land Art Generator Initiative aims to stimulate the creative dialogue between solution-based art practices, architects and emerging clean energy technologies with design competitions and education programs. It hopes to accelerate the transition of post-carbon economies by inspiring ideas of renewable energy architecture and concepts of energy–creating sculptures, which add value to public spaces. Previous LAGI competitions have focused around New York’s Fresh Kills landfill site, Copenhagen’s Europe Green Capital and Southern California’s Energy Water Nexus. LAGI 2018 invited artists, architects and designers to submit proposals for large-scale and site-specific public art installations that can generate clean energy for Melbourne City, which has a target of net-zero by 2020. The winning design will be unveiled on October 11, 2018.